During commercial operation aboard the carrier M/S Estraden (pictured), two small units of Norsepower’s Rotor Sails have reduced fuel consumption by 6.1 per cent. 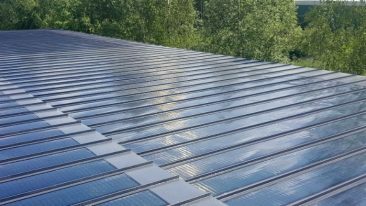 Finnish clean technology and engineering company Norsepower has been awarded the Innovation of the Year accolade at the 2016 Electric & Hybrid Marine Awards ceremony in Amsterdam. 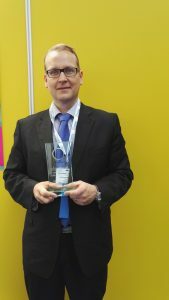 CTO Jarkko Väinämö with the award. The company was recognised for developing the world’s first commercially viable renewable energy-powered vessel technology. 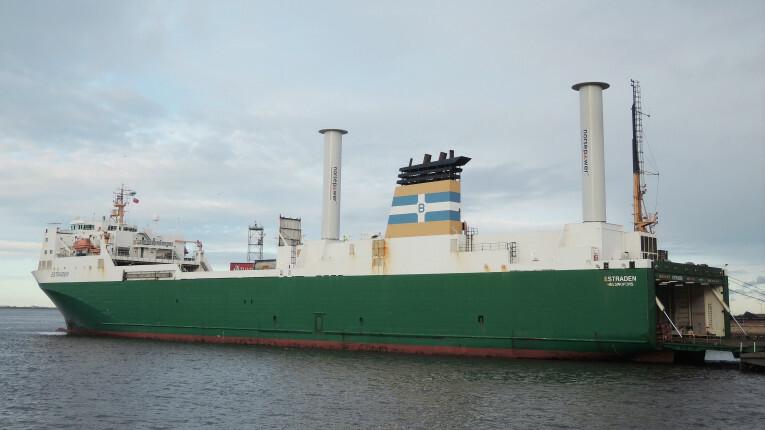 The fully automated Norsepower Rotor Sail Solution is an updated version of the Flettner rotor – a spinning cylinder that uses the Magnus effect to harness wind power in order to propel a ship. The winning innovation can sense when the wind is strong enough, allowing the main engines to automatically be throttled back, saving fuel and reducing emissions. The solution can be employed with new vessels or can also be retrofitted on existing ships without off-hire costs. 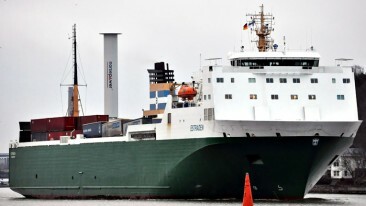 Fuel savings of up to 20 per cent per year have been recorded on windy routes, with sufficient sized Rotor Sails and appropriate service speed.